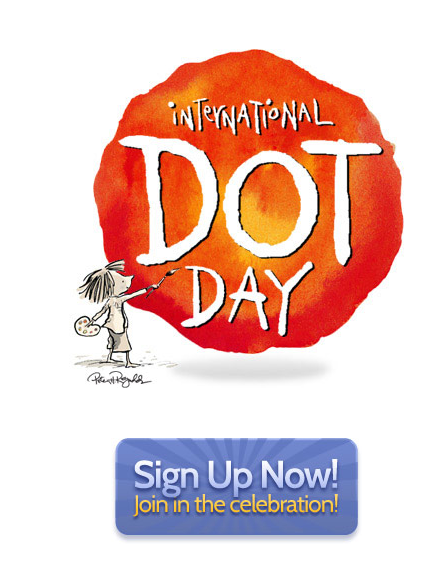 Join more than a million educators and students for International Dot Day, a global celebration of creativity in the classroom based on Peter H. Reynolds' award-winning book The Dot. 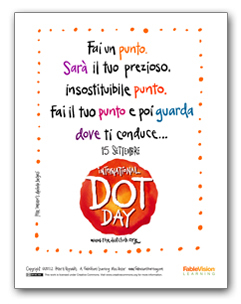 Learn more by visiting the official Dot Day website. 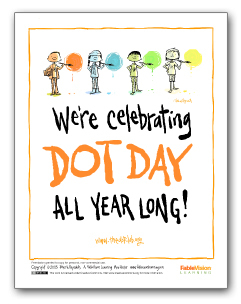 Will you be joining in the fun this September 15th? 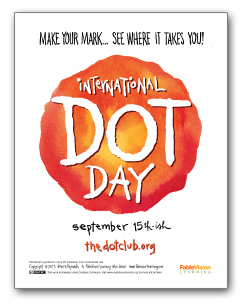 Please let us know by signing up — you'll also receive the free Educator's Handbook for International Dot Day. 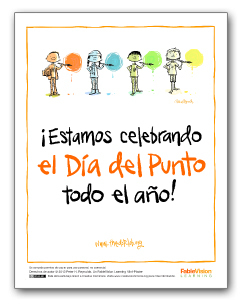 ¡Estamos Celebrando el Día del Punto Todo el Año! 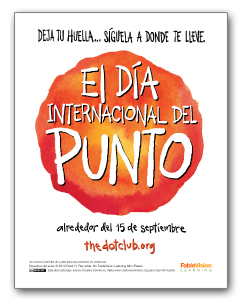 And here's the new Spanish version — we LOVE seeing the International Dot Day logo en español! Enjoy this other wonderful poster in French — it's such fun to see the logo en français! 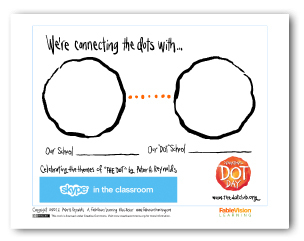 Are you connecting with another school via Skype in the Classroom this year? 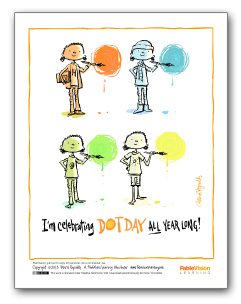 Click here to get this as a printable poster! 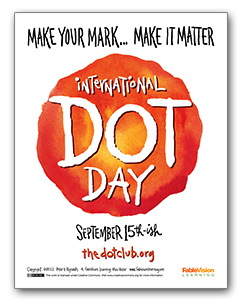 Make your mark by printing out this Dot Day poster. How will you or your school be celebrating on Dot Day? Let us know! 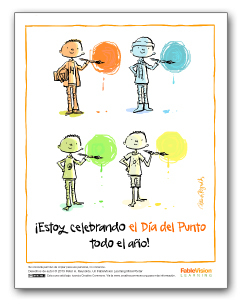 Download this certificate. 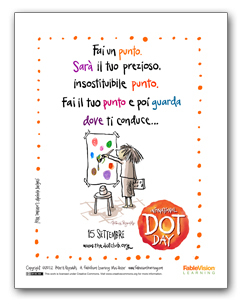 International Dot DayKathy Loukos September 25, 2015 international dot day, My Awesome Publising Company, LuLu Jr.